Hope you are doing well. 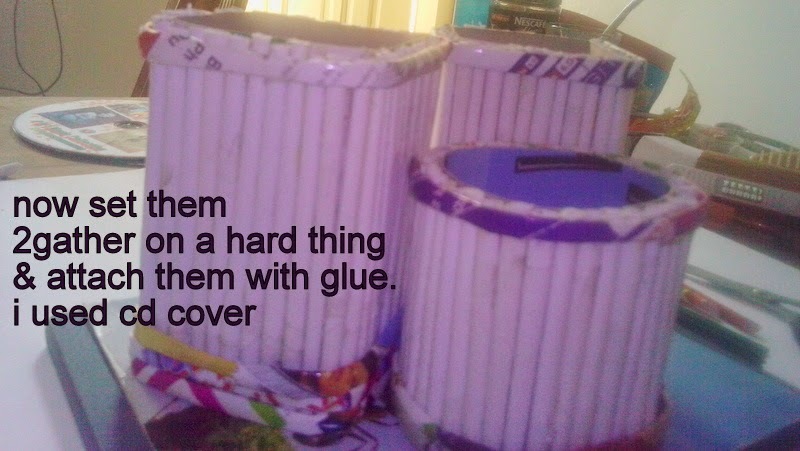 Last time I showed you a wonderful recycling crafts idea. We made a nice decorative flower vase with waste empty plastic bottles. Hope you enjoyed the recycling bottles project and you also tried yourself. Well now, today i am gonna show you another DIY recycling crafts idea. 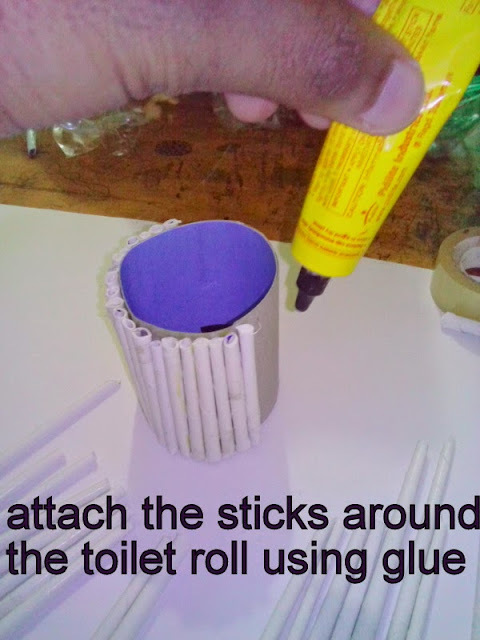 Today we will make a nice decorative DIY Pen-Stand/Pen-Holder using toilet paper roll and some other stuffs. See the pictures bellow and follow the steps. 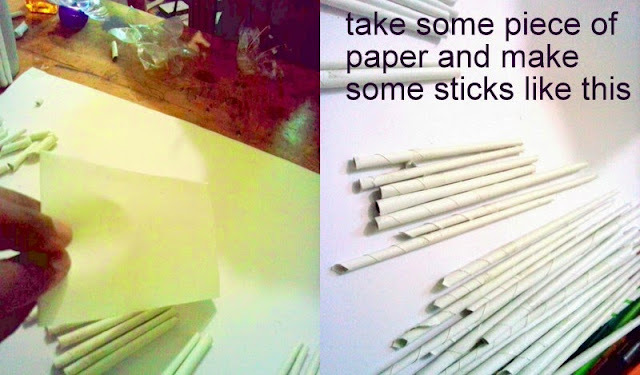 Using the paper make some round shaped sticks. Take squire paper boxes and toilet paper rolls and cut them into your desired measurement. 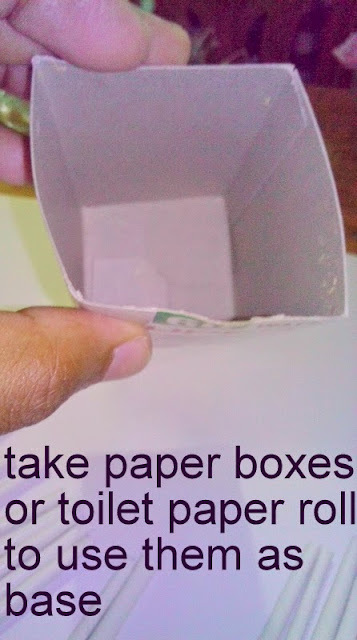 Attach the sticks around the boxes and toilet paper roll. 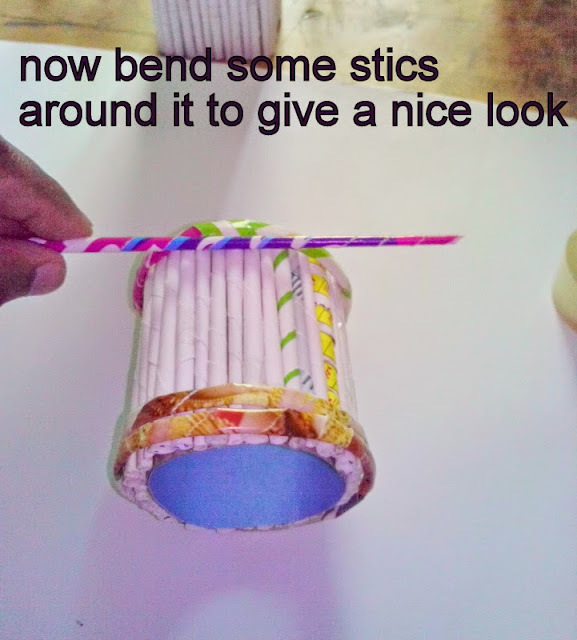 Now bend some colorful stics around the boxes and rolls to give it a nice look. Now assemble them on a hard base. Here I used a Cd cover. 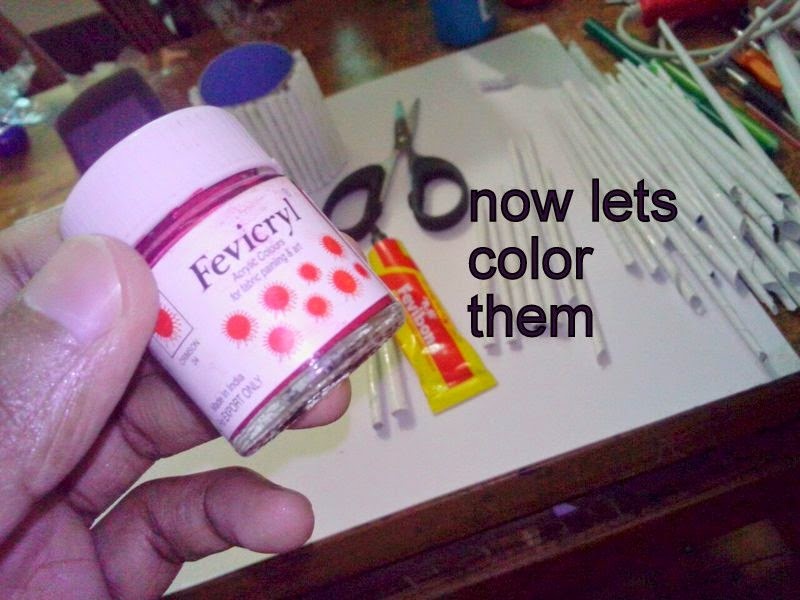 Now its color time. Color with acrylic colors. 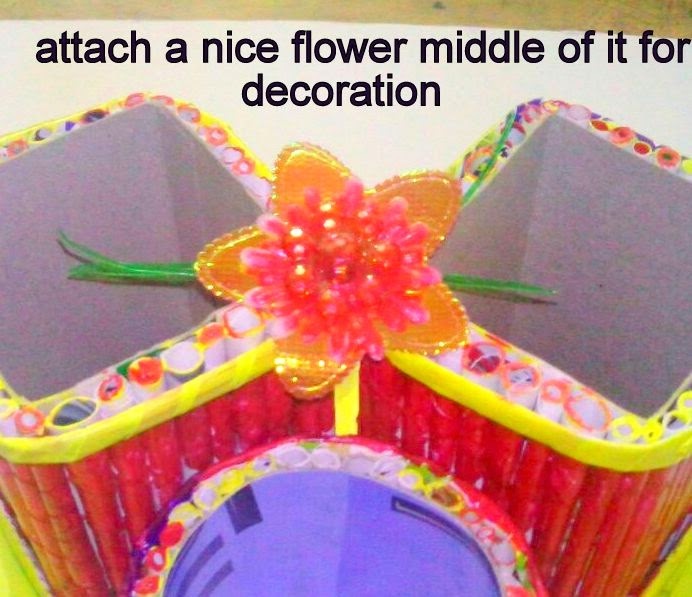 To give it a nice look attach a flower on top of the Pen Holder. Now You are done. 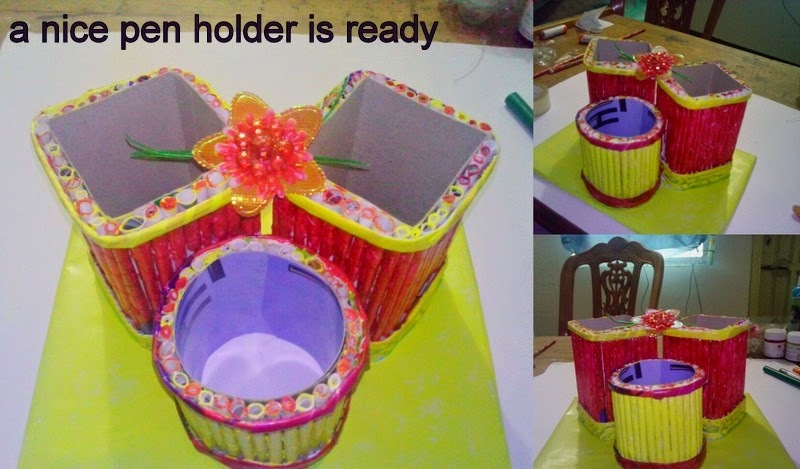 You have just made an amazing DIY Pen Holder From Toilet Paper Roll and other waste stufs. If you got any problem or cant under stand than see the video tutorials. Keep making recycling crafts. Share your ideas with me too.